WASHINGTON – The Machinists Union (IAM) and a dozen other unions have filed suit against the Trump administration to stop the president’s executive orders that take away rights from federal workers. 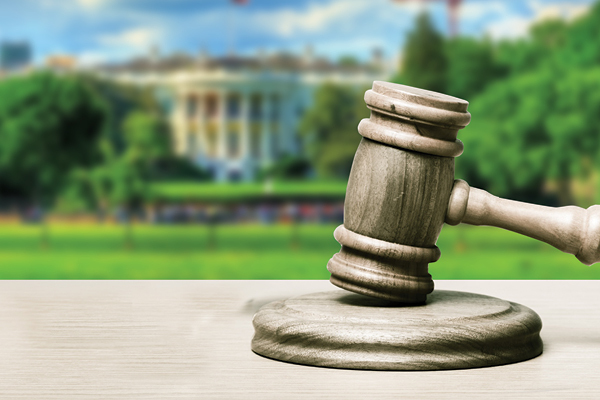 The lawsuit contests the legality of the president’s May 25 executive orders that override Congress to slash federal employee rights to collective bargaining and due process. The IAM filed the lawsuit on June 13 in the U.S. District Court for the District of Columbia. It includes six counts challenging the president’s executive orders. The International Association of Machinists and Aerospace Workers represents approximately 110,000 federal workers in the Department of Defense, U.S. Forest Service, and more than 30 federal departments and agencies. Visit goIAM.org for more information.